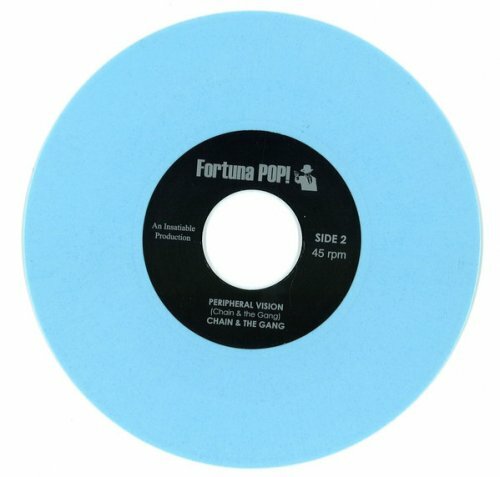 Blue Coloured Vinyl 7" with Jukebox Hole. The new single form CHAIN AND THE GANG is the dancefloor smash 'Never Been Properly Loved', taken from their critically acclaimed new album MINIMUM ROCK N ROLL and due out on Fortuna POP! on 26 May. Featuring the snotty-nosed vocals of Katie Alice Greer of Priests the song is a demand for love and affection set to an insistent disco beat and with a killer chorus that's going to be stuck inside your head all summer long. Led by the remarkable Ian Svenonius, prime mover behind two of the most essential bands of our time, Nation Of Ulysses and The Make-Up, Chain And the Gang deal in a new genre called CRIME ROCK. As Ian himself puts it: 'If asked about it by a prospective fan, I would say "Watch out; it might hurt your feelings." Or "Be careful ... there's no telling what might happen if you put it in your ear." 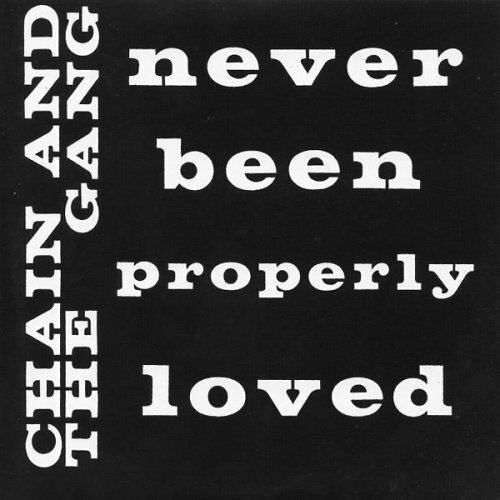 Why Because Chain & The Gang isn't for everyone. It's not designed for the victims of Ikea who rely on robots to choose their background muzak. But it can also prove to be addictive and has some disturbing side effects.' A gang with a fluid and floating active core, Minimum Rock N Roll was recorded in Portland Oregon with Ian and Katie Alice on vocals, Brett playing the electric guitar, Chris on electric bass guitar, and Fiona driving the drum kit and then mixed down in DC by Brendan Canty. More minimal and more ferocious, more lean and more mean, Minimum Rock N Roll is Chain & the Gang looking for food, hungry and intent on devouring the known world, once they find its tender underbelly. "Crunches in with impeccable musical economy, a grimy R&B groove propelled along by cuffed dreams and Svenonius' sultry vocals laying out the terms of social dissemblance in a pouting drawl." Mojo "Svenonius' charisma is unflagging, and his commitment to the theme can thrill, too." Uncut "A true one-off, you're either a believer or your'e not."